In this lesson we are going to look at various ways to add harmonic interest over dominant chords using tritones. 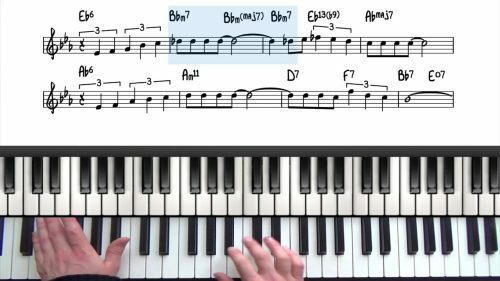 Before watching this lesson, you should check out the introduction lesson on Tritone Substitution. 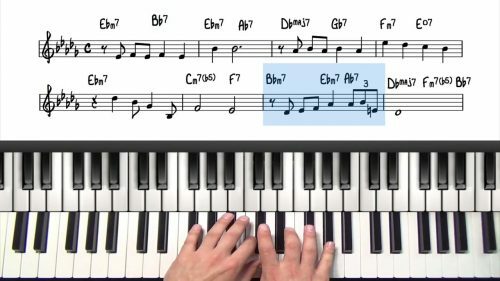 This lesson will give you a strong understanding of the concepts behind tritone substitution we also analyse specific applications in a few popular jazz standards. The examples covered in this lesson are more advanced and also incorporate the theory from upper structure triads. If you are not comfortable with upper structures, it would be good to watch those lessons before diving into this one. When you have a dominant chord, something I like to do is play a 13sus4 chord for the dominant chord and then play an upper structure triad over of the tritone of the original dominant. This works well because the sus chord has an unresolved nature indicating it wants to move somewhere and that is exactly what happens — we move to an upper structure of the tritone which means we are still playing the same 3rd and 7th but with different colours on top from the extensions & alterations. 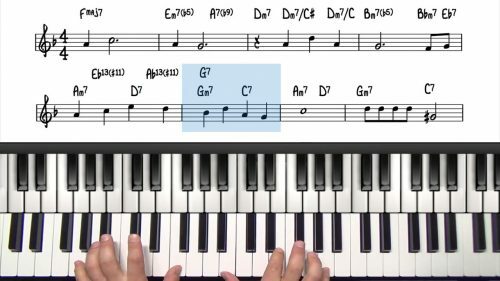 In this lesson, we explore extended and altered harmony, upper structure triads, and some interesting applications of diminished chords & harmony. Misty is one of the most popular jazz ballads and the distinctive melody is immediately recognisable amongst jazz musicians. The first step is to use the circle of fifths and play through each of the 12 keys. Play the root in your left hand, and a rootless voicing in your right hand. Next, it's time to apply this theory to jazz standards. The first step is to learn the examples covered in the lesson. Then you can work out your own tritone substitutes. Look through the jazz standards you are playing, and spot any major 251s. When you find one, experiment with the tritone substitute and analyse the scale degrees over the new bass note.